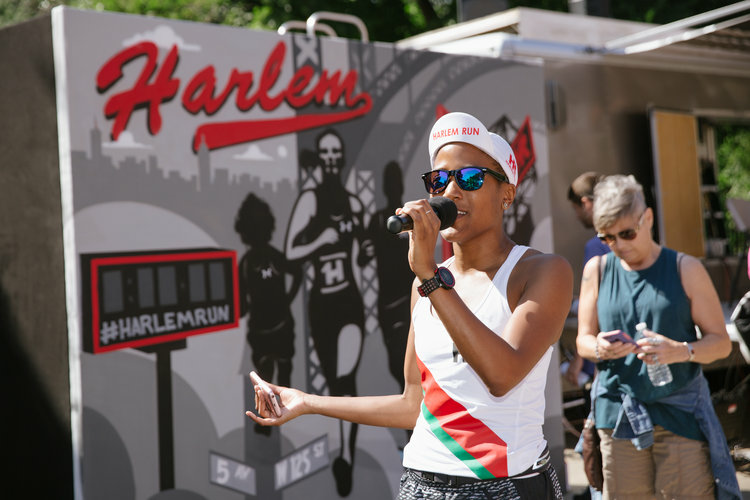 You may want to bring headphones on your next run because Alison Desir, the founder of Harlem Run and Run 4 All Women is launching a podcast. After fundraising over $103,000 and running 250 miles (relay style) from Harlem to the Women's March in Washington, D.C., the Run 4 All Women founder has been shaking up the running - and activism - world. Alison Desir is continuing her activism by working with ambassadors and runners from all over the country to pick up where Run 4 All Women left off in January. They will host fundraising runs and events from Pennsylvania to California to raise money and awareness for women's health and reproductive issues. Alison's new podcast, 'Find Meaning on the Run', will focus on personal experiences that led her to find meaning through running and her hope is that the podcast will "shed light to help YOU find meaning on the run" as well. According to her website's official description, the podcast will "offer conversations with powerful and inspiring people in the world of sport and beyond, uncovering how they find meaning. The show will demystify what makes people tick and, as a result, how they achieve greatness." Sounds good to us. We'll be on the lookout for the first full podcast episode but in the meantime, you can follow Alison on Twitter/Instagram at @AlisonMDesir for updates and listen to the sneak peak of the 'Find Meaning on the Run' podcast below.